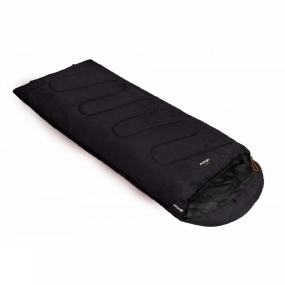 Combining great quality with exceptional value, the Atlas 250 Square Sleeping Bag from Vango sleeping bag is perfect for festival goers and those taking their first steps into the world of camping. This square-shaped bag boasts a unique S-stitched pattern to hold the insulating fibre in place, while the 8.5 TOG rating guarantees a comfortable nights' sleep. It's shape is also ideal for those who are looking for a bit more wriggle room in their sleeping bag.